Subsidiaries of Kumasi fm, Adehyei fm, Accra, Class fm, number 1 fm ,Ho fm and CTV. After the founder has impose an unknown and inexperienced person Baffour Kusi on them as a Station manager . The 35 year broadcast journalist Owoahene Addai mununkum has remain tight lip after a call was put through his 0266 mobile line. Owoahene Worked closely with Nana Juantua the morning show host of Kumasi morning show #KMS who has also resigned from the station and joined Oyerepa fm in Kumasi. It is unclear weather the redio mayor will join his friend Jantuah at Oyerepa fm or will go back to EIB's Abusua fm where his long time friend and boss Kwame Adinkrah works. 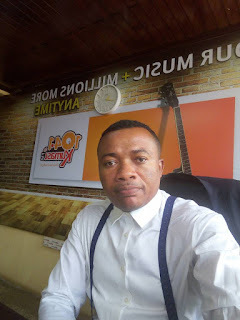 In 2016 the handsome journalist left one of the leading media House in Kumasi Angel 96.1 fm and joined metro 94.1 with Mr Kojo Marfo a move that did not last for four months. The golden boy could not hold back his tears on that faithful Sunday morning show as he thank the Almighty God for his healing power. It is not known which media house that the Seventh Day Adventist Journalist would be working with. We hope that the same ghost doesn't hunt Kojo Marfo from there.